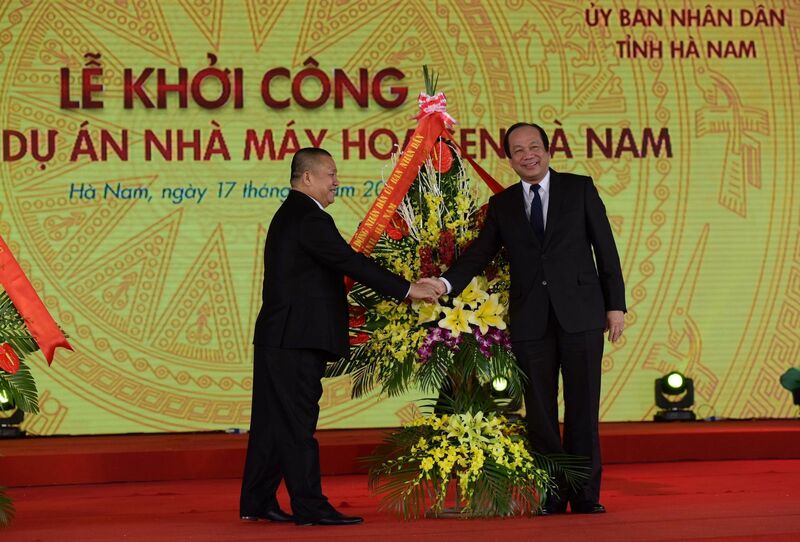 Construction of new factory of Hoa Sen Group expected to be completed by September 2018. The Hoa Sen Group has begun construction of a $135 million factory manufacturing steel pipes, hot dipped galvanized steel pipes, uPVC pipes, and HDPE pipes, at the Kien Khe I Industrial Zone in northern Ha Nam province. On an area of 20.4 ha the factory has 24 modern production lines for manufacturing galvanized steel pipes with a capacity of 200,000 tons a year, two slitting lines for galvanized steel pipes with a capacity of 200,000 tons a year, two production lines for hot dipped galvanized steel pipes with a capacity of 110,000 tons per year, and ten production lines for black steel pipes with a capacity of 110,000 tons per year. The production lines also includes four slitting lines to produce black steel, with a capacity of 110,000 tons per year, 22 production lines for PVC and HDPE with a capacity of 51,000 tons per year, and 32 uPVC plastic injection molding lines with a capacity of 4,000 tons per year. The factory will be built in two stages and be completed by September 2018. It will contribute significantly to the provincial budget and create about 800 jobs. This is a key project of the Hoa Sen Group in strengthening its position in the domestic market in the south and expanding to the north. In building the new factory it will increase its production capacity, especially in steel pipes and plastic pipes, and meet demand in the north. Increasing its production capability and rapidly developing its distribution and retail networks will put its products within easier reach of customers. All of Hoa Sen Group’s products possess four characteristics: international standard, reasonable price, quick delivery, and full after sales services, together with four commitments: right price, right standard, right quality, and guaranteed. With such key factors the Hoa Sen Group’s products leads the way in the industry in Vietnam, holding shares almost 40 per cent in steel sheet and 20 per cent in steel tube. Its product are also approaching global markets and are now available in more than 60 countries and territories around the world, meeting the difficult technical and delivery requirements of markets such as the US and Europe, among others. The clearest demonstration of this is the Hoa Sen Group becoming the first enterprise in Vietnam to export 20,000 tons of steel products to the US, in February. 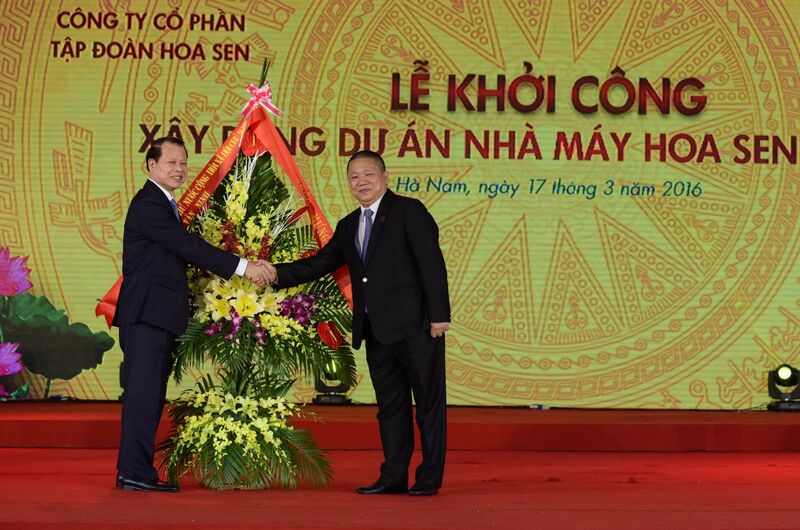 This was an important step in improve the supply of steel and plastics to meet the needs of the international market and helped Hoa Sen improve its competitive capacity as Vietnam’s international integration deepens and confirmed its leading position as a multinational corporation.